The 'Maggie May' hitmaker is to close the legendary music extravaganza on Sunday, June 11 at Seaclose Park in Newport, Isle of Wight, for what will be his only UK festival performance of next year and his first ever time playing the iconic event. He said: "I have been very lucky to have played many of the world's finest venues and festivals - but never played the legendary IOW Festival. 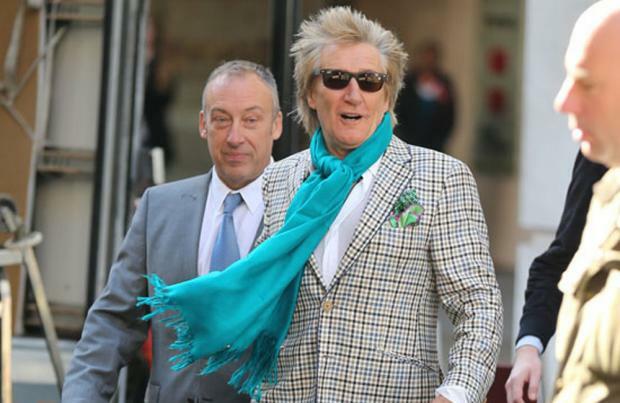 And the festival's promoter, John Giddings added: "I've wanted Rod Stewart to play at the festival for a number of years. He's an incredible icon with a career that's spanned over five decaes so it's impossible not to be a fan. On Sunday night he'll bring an incredible energy to create an unforgettable moment." The 71-year-old music legend joins previously announced headliners Arcade Fire, who will perform on the main stage on Saturday, June 10. Giddings previously revealed that the late David Bowie - who sadly passed away in January, following a secret battle with cancer - introduced the indie rock group to him and suggested they should play the iconic music extravaganza. He said: "I'm so happy to have secured Arcade Fire as our first headliners. David Bowie recommended them and I've been a fan ever since. "Last year saw an incredible year and I'm ready for us to come back even better in 2017." With one headlining act yet to be confirmed those rumoured include Guns N' Roses, Beyonce, Coldplay and Green Day.